What Do I Need to Do Once My Internationally Adopted Child Is in the US? So, the call to create a family has come from across the ocean. You’ve brought your newest internationally adopted addition to the family home to the United States. Now what? Most children coming into the United States come on an IR-3 or IH-3 visa, if they are fully adopted overseas, or an IR-4 or IH-4, if they have not been fully adopted. They may also come in on the IR-4 or IH-4 if the adoptive parents did not see the child before adoption finalization. 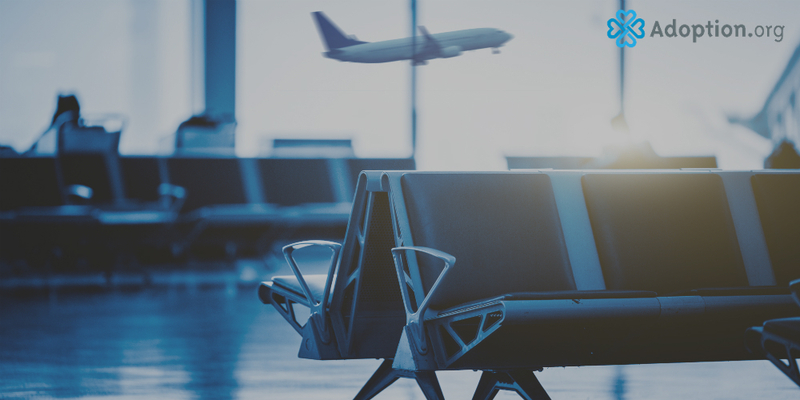 The IR-4 visas are common for those picking up at an airport. IR visas come from countries that are not part of the Hague agreement. IH visas are issued in countries that are part of the Hague agreement. While the United states will generally accept a foreign adoption decree finalized in the country of origin, that isn’t always the case. Upon bringing a child home to the United States, adoptive parents should be aware of the type of visa issued for their internationally adopted child in order to take the appropriate next step. Usually, an adoption agency will walk you through any further legal process, including those after homecoming. In many cases, readoption once the child has entered the United States is strongly encouraged since the United is not required to recognize adoption decrees issued by other nations. Readoption is often used as a means to rename internationally adopted children or to obtain a United States birth certificate. Having a United States birth certificate can be helpful in the future, when it comes to getting scholarships, identification cards or driver’s licenses, school enrollment, et cetera. Under the Child Citizenship Act of 2000, children adopted from another country will automatically receive citizenship in the United States if at least one parent is a United States citizen, the child is under 18, the child is admitted to the United States as a lawful immigrant for permanent residency, and if the adoption is final. Readoption can check the final box on that list and is necessary if the child enters the United States with an IR-4 immigrant visa. Parents who do not file for readoption (or who may not need to) can apply for a Certificate of Citizenship through the United States Citizenship and Immigration Services. This form may also serve as a birth certificate for most legal purposes (but is often not as widely recognized). Once your newest addition to the family has received citizenship, the naturalization process can begin, and you can apply for a Social Security number for your child. You can contact your local Social Security Administration to verify what documentation may be necessary, but universally you will have to fill out Form SS-5. A readoption ceremony may not be a necessity, but it may also be a great way to bring the family a little closer emotionally. Adoption is a thing born of trauma. Emotionally, internationally adopted children may grieve their country of origin and familiar surroundings, even if those circumstances were hard. The legal ceremony may help adoptees feel further bonded to their new parents, siblings, and extended family, and may help siblings or extended family feel bonded to the newest family member as well. International adoption has unique hurdles to get through, but it yields a worthwhile result for all involved. Find more information on international adoption here, or visit Adoption.com’s photolisting site for children who are in need of loving homes. Find out how you can adopt a baby.